Happy Holidays to all of you! We hope your Thanksgiving was filled with good food and great company. Did you have a chance to pick out your Christmas tree yet? Have no fear, we still have MANY gorgeous trees available. Why buy your Christmas tree from us? Our trees are grown in Chehalis, Washington and we like to #SupportLocalBusiness. Trees are cut as soon as they arrive and placed upright in water. This ensures that your trees are hydrated and healthy when you take them home. Our selection this year: Nobles, Nordmanns, and Grand fir trees. Could you use an extra $50 this holiday season? 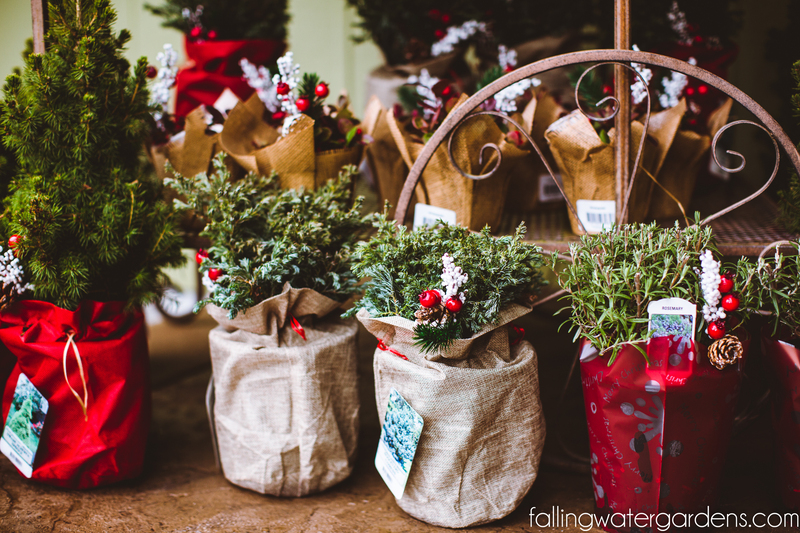 Enter our Christmas tree decorating contest for a chance to win a $50 gift card to Falling Water Gardens! For details, please view our post about it here. View our What’s New and On Sale page for fun holiday gift and decorating ideas, Christmas trees on the lot right now, and decor that you’ll enjoy year round. It’s winter now… so which plants look alive out there?! Visit our Cool Plants section to see our plant favorites for December. This month we are introducing a koi breed called Tancho. For December’s How-To, we discuss when to hold off on feeding your fish and why it is important to stop.